Research at the University of California-Irvine demonstrated that patients in Network Care reported significant improvement in Physical Health and symptoms, Emotional/Mental Health and symptoms, Stress, and Life Enjoyment. A unique Wellness Index was developed to assess these categories for overall quality of life. Seventy Six percent of the over 2,800 patients improved in every category. Although physical symptoms changed most often within the first couple of months, patients reported their overall life enjoyment and quality of life continuing to improve year after year. During Network Spinal Analysis™ (NSA) care two “healing waves” develop which are unique to Network. One is a breathing wave that releases tension throughout the spine and body and relaxes a person. The other is called a somatopsychic (or body-mind) wave, which is associated with a dolphin type undulation or movement of the spine. These waves are related to a significant increase in wellness and quality of life. Once people experience these Network “healing” waves, they tend to make healthier choices. Suddenly the exercise, diet, supplements, meditation or prayer that may have been resulting in minimal wellness benefits increased in effectiveness. Saying it differently, people in Network care, who experience these waves, often double their perceived wellness. As these “healing waves” progress along a person’s spine, it revitalizes, energizes, and helps the body to self-correct distortions of alignment and posture. They move “stuck energy” and are a resource of new energy and vitality. Vertebra of the spine spontaneously realign as one of the by products. NSA helps the person “inside” who is experiencing disease, and must deal with a prognosis, treatment, and symptoms. With care they are better able to develop innate strategies to find tension in their bodies and spontaneously move and breathe to dissipate it. NSA helps the person to use the energy within their spinal tension (and unresolved past and current stressful or traumatic experiences) to fuel the healing process. Network Care helps the internal cues to become so available that people more often act, think, feel, and respond in a more productive and healthier fashion. The internal communication systems become clearer to coordinate the body more effectively even during periods of stress and trauma. People have been shown to make healthier choices and enjoy life more. Also, a wide range of physical complaints such as headaches, stiffness, pain, eczema, menstrual cramps, dizziness, and many others have been reported by the Network patients to improve or resolve. Why is it that we lose our wellness and health? It seems associated with the way we experience our world. When an event occurs that our brain determines is not safe for us to fully experience, the energy and information of the event is translated into vibration and tension, which is then stored in the body. It is not unlike the after-image of a flashbulb. Our body then walls off the offending energy and tension over time with muscular spasm, spinal distortion, reduced breathing into the area, and reduced movement. Much of what many disciplines seek to correct through manipulation, massage, and therapy is often a symptom of this process. Through gentle contacts along the neck and lower spine (where the spinal cord attaches inside the vertebral column), called Network adjustments or entrainments, greater body awareness is achieved. The body moves away from defense and towards growth. The brain becomes aware of the spine, which is a main conduit of consciousness, the coordinator of body function, and a proposed location of the subconscious mind. Our posture, spinal alignment, and tension patterns all reflect our emotional reactions to our perceived world. Most of us remain in defense throughout our lives, and the higher more evolved brain does not have the opportunity to develop its unique properties and evolve new strategies for experiencing and responding to life. When at peace, the internal growth “programs” can be switched on because the body does not need to protect itself from injury. It can then assess if our reactions, adaptations, and symptoms are appropriate or not. We can feel more profoundly and use subtle information within to make healthier choices. We can be more compassionate to others, and to ourselves. We can activate “internal” software for experiencing life, changing our course, and for healing. Our brain can pay attention to the body’s tension patterns, its spinal alignment, its posture, and its current state. In order to fix something we must first be able to find it. As our brain is better able to inventory the body, it can better orchestrate healing. This naturally occurs as NSA care progresses, and the individual not only becomes aware of spinal tension patterns, vertebral motion and respiration, but also even the energetic motion through the body. Natural outcomes of Network care include this awareness, and even the self-regulation of spinal tension and alignment. For those people who have had the greatest wounds, or stresses and traumas in life, they may tap stored tension or blocked energy through NSA care, to develop the statistically greatest positive changes in wellness. This is part of the “stress busting” effect demonstrated in Network Care. I interpret this to suggest that the greater the wound, the greater the potential gift–that is, if new strategies can be developed to access the internal storehouse of energy for healing. This is what appears to happen in NSA care. The NSA practitioner seeks to promote new strategies for your spine and nervous system so that you can be more effective at being well. The spinal assessments the doctor makes are matched with your personal health and wellness inventory. Allow the practitioner’s expertise, and your ability to heal, to join in celebrating the wellness that is available to you . . . even in the presence of disease. Network Spinal Analysis™, originally developed as a subluxation classification analysis as well as a low force adjustment application. This has evolved into a system of enhancing spinal and neural integrity though development of biologically entrained responses purported to advance emerging properties of the spine and nervous system. Evidence exists to support the benefits of NSA care in relationship to enhanced health, quality of life, healthier lifestyles, and life choices. It is currently being represented and taught as a unique discipline, which has very specific benefits to a wide range of disciplines and is well adapted for the scope of vertebral subluxation based chiropractic. Network Spinal Analysis™ involves a clinical assessment of individuals that also incorporates a patient centered education process. Through specific contacts with the tissues overlying the spine, it utilizes a low force protocol employing concepts derived from a variety of health professions and theoretical sciences. A. Promote practice member self-awareness of the spinal structures, including gross and subtle movement of spinal structures, spinal and somatic tension patterns, associated participation with the respiratory system, and responses to stress. F. To evaluate the efficacy of the above by relating the application of NSA to practice member self-ratings regarding their wellness and quality of life, and to conduct research investigating the hypothesis advanced relative to the above objectives of NSA. 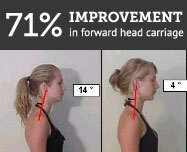 Results of a study performed at the University of California, Medical School at Irvine.